I hereby officially declare that it is mayhem at home because we will be moving this month. Basically, I've got over a dozen things on my to-do list which only seems to keep getting longer. We've been running around settling the admin stuff, buying electrical appliances, finalising our furniture designs, visiting showrooms, packing and doing whatever we can everyday so that we are able to make it in time for the move. 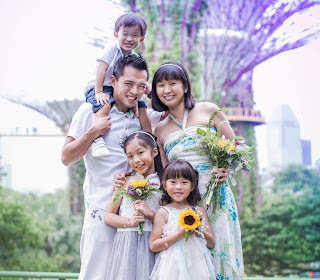 It's pretty rushed affair because we have to clear out our current house for the new owners so everyone can enjoy CNY in the comfort of new homes. I'm not sure how much time I will have to blog this month but I hope to keep it going and in any case, do keep up with our updates on social media. 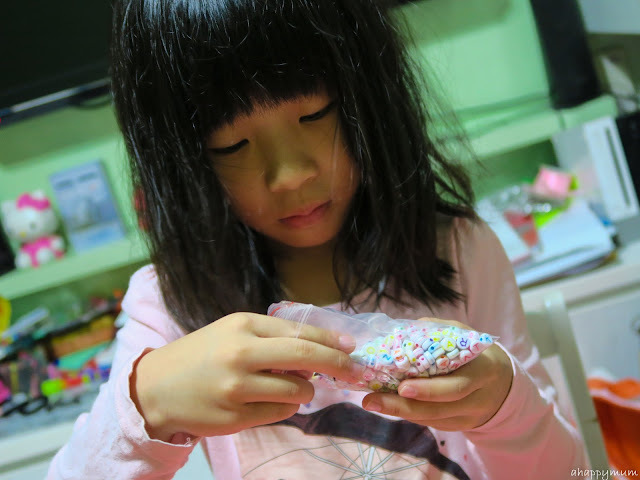 Anyway, I still have time to squeeze in a post for Creativity 521 and today, I'm sharing with you something simple but sincere that the girls did for their friends who attended the princess party. Yes, that's right, the girls did these all by themselves. Oh well, I did need to help them get started and end it because it's hard for them to tie the knots, but you'll see, they did all the rest of the work in making these Personalised Bracelets. First of all, let me tell you where we got these pretty beads. I got them from....... Taobao! 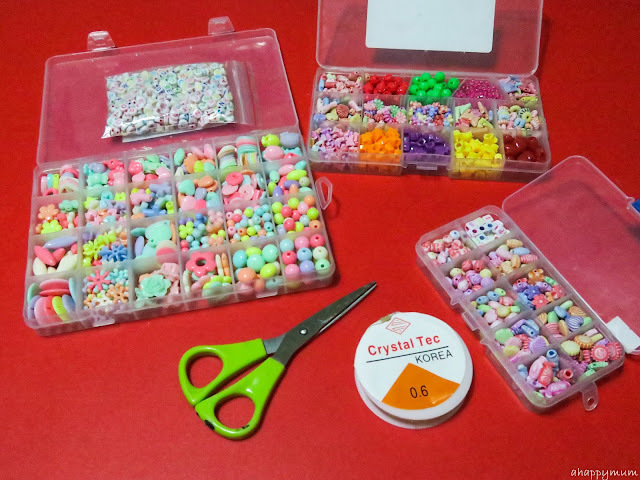 Yes, after so many years, I finally bought something off Taobao and I think this was a quite worthwhile buy (each box of beads cost around SGD4-5 only, of course you have to add in shipping too but still very worth it)! Anyway, here's where I got most of mine and you can find more designs too if you just search for "儿童窜珠". 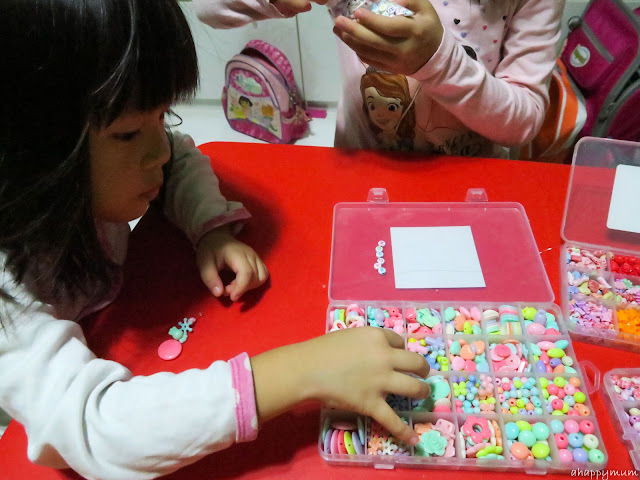 I love this craft because it was a way for the girls to show their heartfelt appreciation and make handmade gifts for their friends. Handmade gifts are always the best, don't you think so? Plus, I practically needed to do nothing. Okay, I did need to help tie knots on the elastic strings at the start and end, but that was it. Yup, so they did the stringing of every single bead in every bracelet, and we took a total of 4-5 nights to finish up on all of them. Effort, right? This was the perfect activity for them to practise their dexterity and hand eye coordination, and at the same time train up their patience too! There were times when they would spell the name wrong, have one letter upside down, make it too long/too short, or worse, drop all the beads onto the floor after they were done and they would have to start all over again. 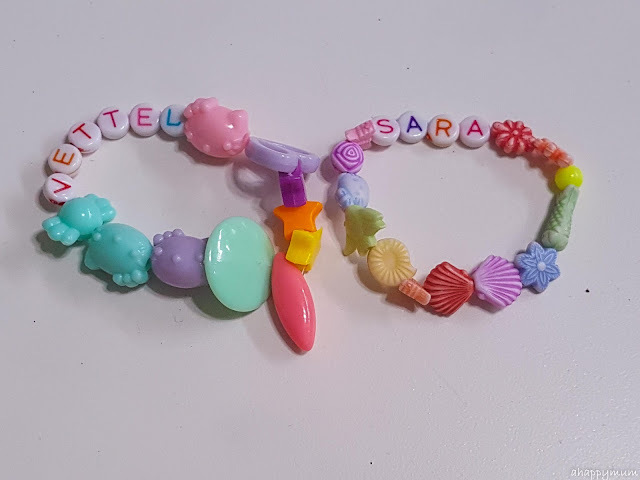 I guess girls are more inclined towards such crafty stuff and I have to say that the two of them were totally motivated night after night to finish up on these personalised bracelets. I didn't even need to remind them much! 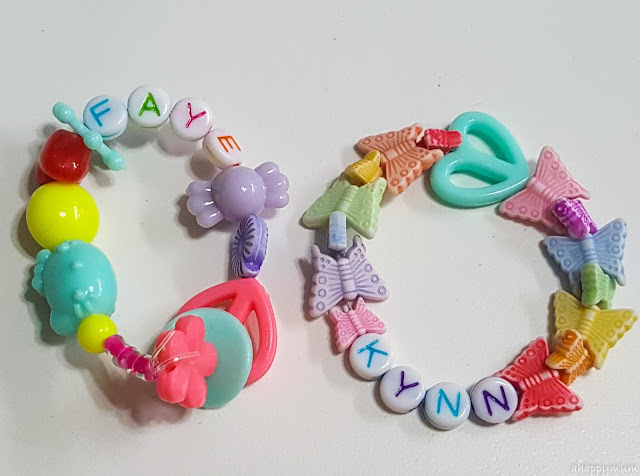 Oh, one more thing, spelling out the names with the alphabetical beads gives the little one a chance to work on her letter recognition too and she learn to spell out many of her friends' names. Here's presenting some samples of the bracelets they made. In every picture, one is made by the elder sister and the other by the younger one. I found it so contrasting to see their work because while the little one had a random and unpredictable style, the big girl was systematic and meticulous. Pretty sure you managed to see which is whose, right? 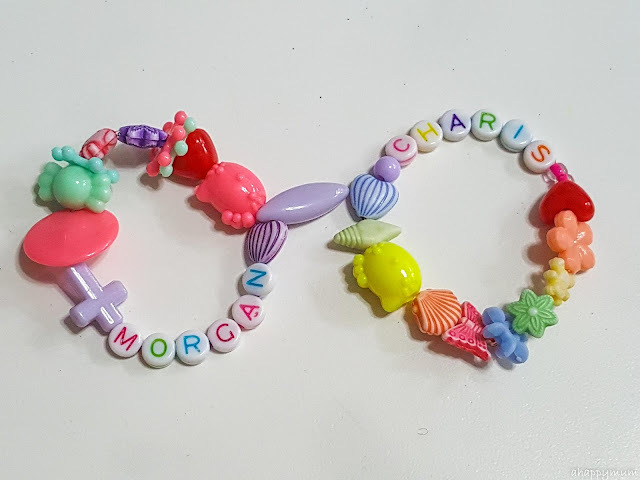 So, we did a total of over 20 bracelets and we really hoped these helped to put a smile on the faces of our friends when they opened up the party favours. You can also read about how we made personalised thank you cards for them too. 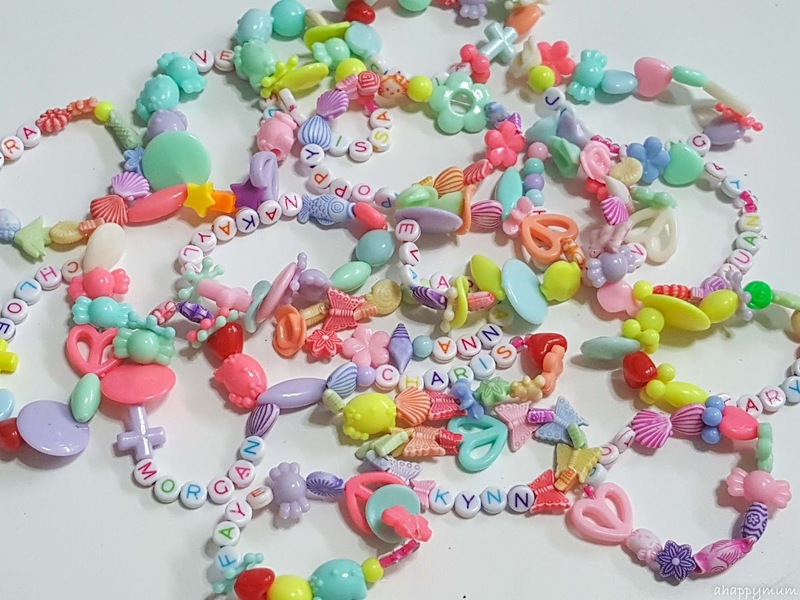 So, if you are looking for something simple, girly, fun-filled and easy for your kids to make as gifts, do let them try making some personalised bracelets or even necklaces too! Looking very nice craft and creativity done by kid. Thanks for sharing post about personalised bracelets. Since I am an online assignment help service provider and assignment help folks writer for Australian's students. I our academic, we are arranging extra lecture for extra for students activities. Now this idea I will share in our next activities lecture. 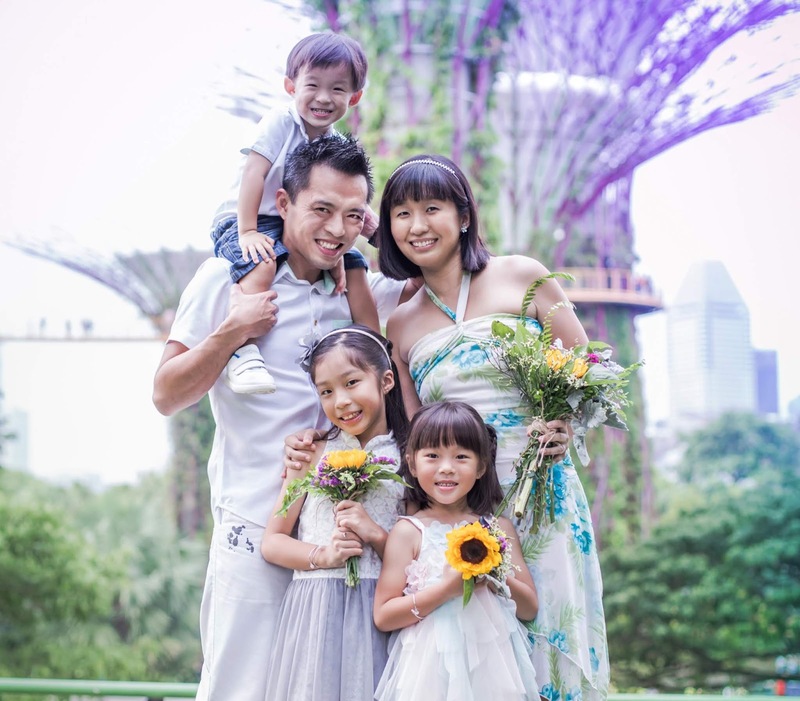 Thanks for sharing with images here. Still waiting for next creativity post here. Wow...making nice bracelets. Its really nice creativity, I would like to share with my students, who are looking for essay writer - http://www.essaywriter.org.uk/ and I am sure they are happy to see images of creativity and they are inspire to read here. Thanks for sharing post about Personalised bracelets. Keep it up and share with us new idea and creativity here.